A selection of our academic publications from 2008 to the present. Baesens, B., Bapna, R., Marsden, J.R., Vanthienen, J., and Zhao, J.L. (2016) Transformational Issues of Big Data and Analytics in Networked Business, MIS Quarterly. Choudhry, T., Papadimitriou, F.I. and Shabi, S. (2016) Stock market volatility and business cycle: Evidence from linear and nonlinear causality tests. Journal of Banking & Finance, 66, 89-101. Dawson, I., Johnson, J.E.V. and Luke, M. (2016) One too many? Understanding the influence of risk factor quantity on perceptions of risk. Risk Analysis, 1-35. Eross, A., Urquhart, A. and Wolfe, S. (2016) Liquidity risk contagion in the interbank market. Journal of International Financial Markets Institutions and Money, 45, 142-155. Hsu, M-W., Lessmann, S., Sung, M., Ma, T., and Johnson, J.E.V. (2016) Bridging the Divide in Financial Market Forecasting: Machine Learners vs. Financial Economists. Expert Systems with Applications, 61, 215-234. Ma, T., Tang, L., McGroarty, F., Sung, M., and Johnson J.E.V. (2016) Time is money: Costing the impact of duration misperception in market prices. 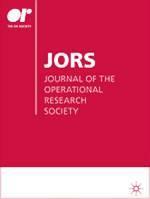 European Journal of Operational Research. Ullah, S., Harwood, I.A. and Jamali, D. (2016) 'Fatwa Repositioning': the hidden struggle for Shari'a compliance within Islamic Financial Institutions. Journal of Business Ethics. Urquhart, A. (2016) The Inefficiency of Bitcoin. Economics Letters, 1-7. Urquhart, A. and McGroarty, F. (2016). Are stock markets really efficient? Evidence of the Adaptive Market Hypothesis. International Review of Financial Analysis. Van Vlasselaer, V., Eliassi-Rad, T., Akoglu, L., Snoeck, M., Baesens, B. (2016) GOTCHA! Network-based Fraud Detection for Social Security Fraud, Management Science. Brito, M. and Griffiths, G. (2015) A Bayesian approach to predicting risk of loss during Autonomous Underwater Vehicle missions. Reliability Engineering & System Safety (doi: 10.1016/j.ress.2015.10.004). Chipulu, M., Marshall, A., Ojiako, U. and Mota, C. (2015) Reasoned ethical engagement: ethical values of consumers as primary antecedents of instrumental actions towards multinationals. Journal of Business Ethics (doi: 10.1007/s10551-015-2994-5). Choudhry, T. and Hassan, S.S. (2015) Exchange rate volatility and UK imports from developing countries: the effect of the global financial crisis. Journal of International Financial Markets, Institutions and Money (doi: 10.1016/j.intfin.2015.07.004). Dawson, I.G.J. and Johnson, J.E.V. (2015) Does size matter? A study of risk perceptions of global population growth. Risk Analysis (doi: 10.1111/risa.12576). Fraser-Mackenzie, P., Sung, M. and Johnson, J.E.V. (2015) The prospect of a perfect ending: Loss aversion and the round-number bias. Organizational Behavior and Human Decision Processes (doi:10.1016/j.obhdp.2015.08.004). Goodell, J.W., McGroarty, F. and Urquhart, A. (2015) Political uncertainty and the 2012 US presidential election: A cointegration study of prediction markets, polls and a stand-out expert. International Review of Financial Analysis (doi.org/10.1016/j.irfa.2015.05.003). Gray, E., Jennings, W., Farrall, S. and Hay, C. (2015) Small big data: using multiple data-sets to explore unfolding social and economic change. Big Data & Society (doi: 10.1177/2053951715589418). Ma, T., Tang, L., Mcgroarty, F., Sung, M. and Johnson, J.E.V. (2015) 'Time is money': costing the impact of duration misperception in market prices. European Journal of Operational Research (doi.org/10.1016/j.ejor.2016.04.044). Marshall, A., Ashleigh, M.J., Baden, D., Udechukwo, O. and Guidi, M. (2015) Corporate psychopathy: can ‘search and destroy’ and ‘hearts and minds’ metaphors from military strategy guide practical HRM solutions? Journal of Business Ethics (doi: 10.1007/s10551-014-2117-8). Sung, M., McDonald, D. and Johnson, J.E.V. (2015) Probabilistic forecasting with discrete choice models: evaluating predictions with pseudo-coefficients of determination. European Journal of Operational Research (doi: 10.1016/j.ejor.2015.08.068). Alsayed, H. and McGroarty, F. (2014) Ultra High Frequency Algorithmic Arbitrage Across International Index Futures. Journal of Forecasting (In Press). Chipulu, M., Ojiako, U., Gardiner, P., Williams, T.M., Mota, C., Maguire, S., Shou, Y., Stemati, T. and Marshall, A. (2014) Exploring the impact of cultural values on project performance: the effects of cultural values, age and gender on the perceived importance of project success/failure factors. International Journal of Operations and Production Management , 34, (3), 364-389. (doi:10.1108/IJOPM-04-2012-0156). Choudhry, T. and Jayasekera, R. (2014) Market Efficiency during the Global Financial Crisis: Empirical Evidence from European Banks. Journal of International Money and Finance (doi:10.1016/j.jimonfin.2014.03.008 ). (In Press). Dawson, I.G.J, Johnson, J.E.V. and Luke, M.A (2014) Using risk model judgements to better understand perceptions of synergistic risks. British Journal of Psychology, 1-23. (doi:10.1111/bjop.12059). Dawson, I.G.J. and Johnson, J.E.V. (2014) Growing pains: how risk perception and risk communication research can help to manage the challenges of global population growth. Risk Analysis (In Press). Downing, M., Chipulu, M., Ojiako, U. and Kaparis, D. (2014) Advanced inventory planning and forecasting solutions: a case study of the UKTLCS Chinook maintenance programme. Production Planning & Control, 25, (1), 73-90. (doi:10.1080/09537287.2012.658451). Fraser-Mackenzie, P., Sung, M. and Johnson, J.E.V. (2014) Toward an understanding of the influence of cultural background and domain experience on the effects of risk-pricing formats on risk perception. Risk Analysis (doi:10.1111/risa.12210). Kuo, J-M., Ning, L. and Song, X. (2014) The real and accrual-based earnings management behaviors: evidence from the split share structure reform in China. The International Journal of Accounting (In Press). Nguyen, T-D. (2014) A fast approximation algorithm for solving the complete set packing problem. European Journal of Operational Research (doi:10.1016/j.ejor.2014.01.024). (In Press). Portman-Smith, C. and Harwood, I.A. (2014) ‘Only as good as your last gig? ': an exploratory case study of reputational risk management amongst self-employed musicians. Journal of Risk Research (In Press). So, M.C., Thomas, L.C., Seow, H-V and Mues, C. (2014) Using a transactor/revolver scorecard to make credit and pricing decisions. Decision Support Systems, 59, 143-151. (doi:10.1016/j.dss.2013.11.002). Choudhry, T., Chen, W. and Wu, C. (2013) The extreme value in crude oil and US dollar markets. Journal of International Money and Finance, 36, 191-210. (doi:10.1016/j.jimonfin.2013.04.004). Dawson, I.G.J., Johnson, J.E.V. and Luke, M.A. (2013) Helping individuals to understand synergistic risks: an assessment of message contents depicting mechanistic and probabilistic concepts. Risk Analysis, 33, (5), 851-865. (doi:10.1111/j.1539-6924.2012.01878.x). (PMID:22882124). Hidalgo, H., Chipulu, M. and Ojiako, U. (2013) Risk segmentation in social health insurance in Chile. International Journal of Health Care Quality Assurance , 26, (7) (In Press). Kling, G., Ghobadian, A., Hitt, M., Weitzel, U. and O'Regan, N. (2013) The effects of cross-border and cross-industry M&As on home-region and global MNEs. British Journal of Management (DOI: 10.1111/1467-8551.12023). (In Press). Marshall, A.J. and Ojiako, U. (2013) Managing risk through the veil of ignorance. Journal of Risk Research (In Press). Ojiako, G.U., Manungo, T., Chipulu, M. and Johnson, J.E.V. (2013) The impact of regulation on risk perception: Evidence from the Zimbabwean banking industry. African Development Review (In Press). Tong, E.N.C., Mues, C. and Thomas, L.C. (2013) A zero-adjusted gamma model for mortgage loan loss given default. International Journal of Forecasting (In Press). Asenova, D., Stein, W. and Marshall, A.J. (2011) An innovative approach to risk and quality assessment in the regulation of care services in Scotland. Journal of Risk Research, 14, (7), 859-879. Brailsford, S.C., Bolt, T. and Bucci, G., Chaussalet, T.M., Connell, N.A., Harper, P.R., Klein, J.H., Pitt, M. and Taylor, M. (2012) Overcoming the barriers: a qualitative study of simulation adoption in Primary Care Trusts in the NHS. Journal of the Operational Research Society (In Press). Choudhry, T. and Jayasekera, L.I.R. (2012) Comparison of efficiency characteristics between the banking sectors of US and UK during the global financial crisis of 2007-2011. International Review of Financial Analysis, 25, 106-116. (doi:10.1016/j.irfa.2012.09.002). Dawson, I.G.J., Johnson, J.E.V. and Luke, M.A. (2012) Do people believe combined hazards can present synergistic risks? Risk Analysis, 32, (5), 801-815. (doi:10.1111/j.1539-6924.2011.01693.x). Lessmann, S., Sung, M., Johnson, J.E.V. and Ma, T. (2012) A new methodology for generating and combining statistical forecasting models to enhance competitive event prediction. European Journal of Operational Research, 218, (1), 163-174. (doi:10.1016/j.ejor.2011.10.032). Loterman, G., Brown, I., Martens, D., Mues, C. and Baesens, B. (2012) Benchmarking regression algorithms for loss given default modeling. International Journal of Forecasting, 28, (1), 161-170. (doi:10.1016/j.ijforecast.2011.01.006). Sung, M., Johnson, J.E.V. and Peirson, J. (2012) Discovering a profitable trading strategy in an apparently efficient market: Exploiting the actions of less informed traders in speculative markets. Journal of Business Finance and Accounting, 39, (7), 1131-1159. (doi: 10.1111/j.1468-5957.2012.02300.x). Baden, D., Harwood, I. and Woodward, D. (2011) The effect of procurement policies on downstream corporate social responsibility activity: content-analytic insights into the views and actions of SME owner/managers. International Small Business Journal, 29, (3), 259-277. Cheah, E., Jamali, D., Johnson, J.E.V. and Sung, M. (2011) Drivers of corporate social responsibility attitudes: the demography of socially responsible investors. British Journal of Management , 22, (2), 305-323. Georgousopoulou, M, Chipulu, M., Ojiako, U. and Johnson, J.E.V. (2011) Investment risk preference among Greek SME proprietors. Journal of Small Business and Enterprise Development. Lessmann, S., Sung, M., Johnson, J.E.V. and Ma, T. (2011) A new methodology for generating and combining statistical forecasting models to enhance competitive event prediction. European Journal of Operations Research, 218, (1), 163-174. (doi:10.1016/j.ejor.2011.10.032). (In Press). Lessmann, S., Sung, M. and Johnson, J.E.V. (2011) Towards a methodology for measuring the true degree of efficiency in a speculative market. Journal of the Operational Research Society, 62, 2120-2132. (doi:10.1057/jors.2010.192). Ojiako , U., Ashleigh, M., Chipulu, M. and Maguire, S. (2011) Learning and teaching challenges in project management. International Journal of Project Management, 29, (3), 268-278. (doi:10.1016/j.ijproman.2010.03.008). Voutsinas, K. and Werner, R. (2011) Credit supply and corporate capital structure: evidence from Japan. International Review of Financial Analysis. Wu, Y. (2011) Linear robust models for international logistics and inventory problems under uncertainty. International Journal of Computer Integrated Manufacturing, 24, (4), 352-364. (doi:10.1080/0951192X.2011.554875). Gabriel, Y. and Connell, N.A.D. (2010) Co-creating stories: collaborative experiments in storytelling. Management Learning (doi:10.1177/1350507609358158). Johnson, J.E.V., Bruce, A.C. and Tang, L. (2010) The explanatory power of trading volume and insider activity in a pari-mutuel betting market. European Journal of Finance, 17, (3) (doi:10.1080/1351847X.2010.481468). Johnson, J.E.V., O'Brien, R. and Sung, M. (2010) Assessing bettors' ability to process dynamic information: Policy implications. Southern Economic Journal, 76, (4), 906-931. (doi: 10.4284/sej.2010.76.4.906). Malik, M. and Thomas, L.C. (2010) Modelling credit risk of portfolios of consumer loans. [In special issue: Consumer Credit Risk Modelling] Journal of the Operational Research Society, 61, (3), part 1, 411-420. (doi:10.1057/jors.2009.123). Sung, M. and Johnson, J.E.V. (2010) Revealing weak-form inefficiency in a market for state contingent claims: The importance of market ecology, modelling procedures and investment strategies. Economica, 77, (305), 128-147. (doi:10.1111/j.1468-0335.2008.00716.x). Lessmann, S., Sung, M. and Johnson, J.E.V. (2010) Alternative methods of predicting competitive events: an application in horserace betting markets. [in special issue: Sports Forecasting] International Journal of Forecasting, 26, (3), 518-536. (doi:10.1016/j.ijforecast.2009.12.013). Wu, Y. and Yue W. (2010) A dual-response forwarding approach for containerizing air cargo under uncertainty, based on stochastic mixed 0-1 programming. European Journal of Operational Research, 207, 152-164. Alegria, C., McKenzie, G. and Wolfe, S. (2009) Earnings announcements by UK companies: evidence of extreme events? European Journal of Finance, 15, (2), 137-156. (doi:10.1080/13518470802466261). Baesens, B., Mues, C., Martens, D. and Vanthienen, J. (2009) 50 Years of data mining and OR: upcoming trends and challenges. Journal of the Operational Research Society, 60, (Supplement 1), S16-S23. (doi:10.1057/jors.2008.171). Harwood, I.A., Ward, S.C. and Chapman, C.B. (2009) A grounded exploration of organisational risk propensity. Journal of Risk Research, 12, (5), 563-579. Johnson, J.E.V., Schnytzer, A. and Liu, S. (2009) To what extent do investors in a financial market anchor their judgments? Evidence from the Hong Kong horserace betting market. Journal of Behavioral Decision Making, 22, (4), 410-434. (doi:10.1002/bdm.640). Lessmann, S., Sung, M. and Johnson, J.E.V. (2009) Identifying winners of competitive events: A SVM-based classification model for horserace prediction. European Journal of Operational Research, 196, (2), 569-577. (doi:10.1016/j.ejor.2008.03.018). McGroarty, F., Thomas, S. and ap Gwilym, O. (2009) The role of private information in return volatility, bid-ask spreads and price levels in the foreign exchange market. Journal of International Financial Markets, Institutions and Money, 19, (2), 387-401. (doi:10.1016/j.intfin.2008.04.001). Sung, M., Johnson, J.E.V. and Dror, I. (2009) Complexity as a guide to understanding decision bias: A contribution to the favorite-longshot bias debate. Journal of Behavioral Decision Making, 22, (3), 318-337. (DOI: 10.1002/bdm.629). Thomas, L.C. (2009) Ensuring your scorecards keep working. Credit Collections and Risk, 37-38. Chapman, C. and Ward, S. (2008) Developing and implementing balanced incentive and risk sharing contracts. 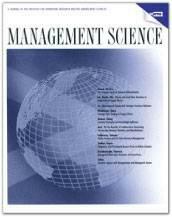 [In special issue: Stakeholder Management in Construction ] Construction Management and Economics, 26, (6), 659-669. (doi:10.1080/01446190802014760). Choudhry, T. and Wu, H. (2008) Forecasting ability of GARCH vs Kalman filter method: evidence from daily UK time-varying beta. Journal of Forecasting, 27, (8), 670-689. (doi:10.1002/for.1096). Johnson, J.E.V., Peel, D. and Peirson, J. (2008) Systematic and varying biases in parallel state contingent gambling markets. Economic Letters. Kling, G. and Gao, L. (2008) Chinese institutional investors' sentiment. Journal of International Financial Markets, Institutions & Money , 18, (4), 374-387. (doi:10.1016/j.intfin.2007.04.002). Kling, G. (2008) Disclosure of mergers without regulatory restrictions: Insider trading in pre-1914 Germany. Economics Bulletin, 7, (2), 1-7. Lessmann, S., Baesens, B., Mues, C. and Pietsch, Swantje (2008) Benchmarking classification models for software defect prediction: a proposed framework and novel findings. IEEE Transactions on Software Engineering, 34, (4), 485-496. (doi:10.1109/TSE.2008.35). Li, J., Wu, Y., Lai, K.K. and Liu, K. (2008) Replenishment routing problems between a single supplier and multiple retailers with direct delivery. European Journal of Operational Research, 190, (2), 412-420. (doi:10.1016/j.ejor.2007.06.022). Wu, S., Johnson, J.E.V. and Sung, M. (2008) Overconfidence in judgements: the evidence, the implications and the limitations. Journal of Prediction Markets, 2, (1), 73-90.